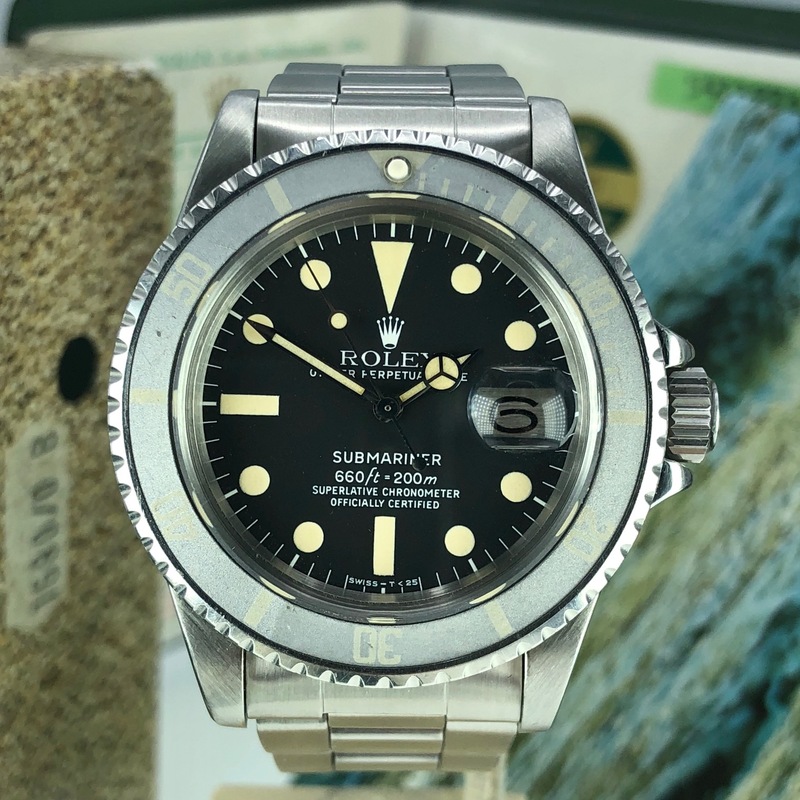 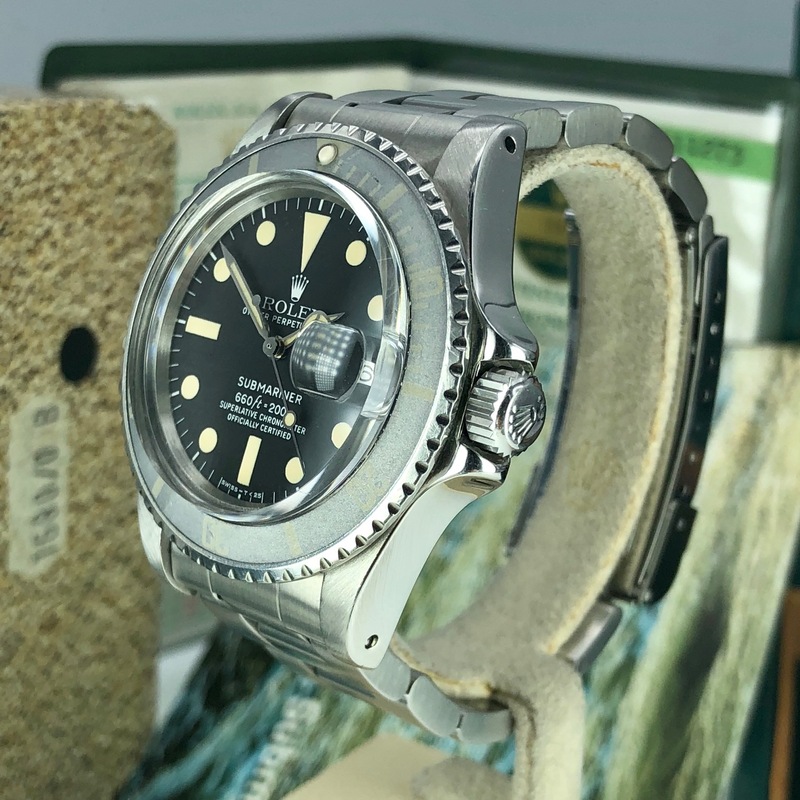 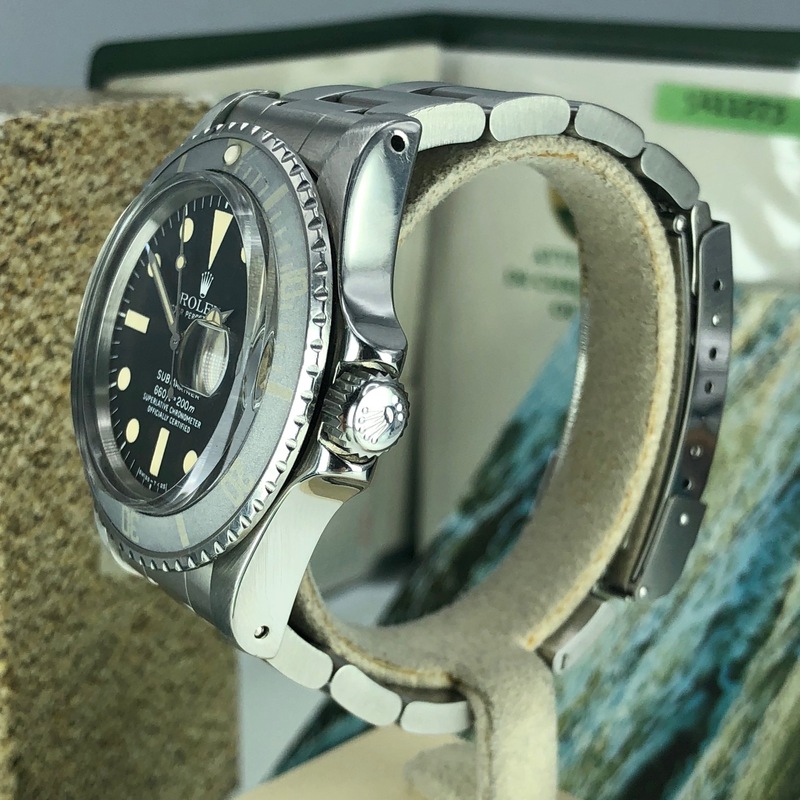 Fantastic example of Vintage Rolex 1680 Submariner extra Full Set box & Papers from 1978 sold in 1979 SN: 5xxxxxx. 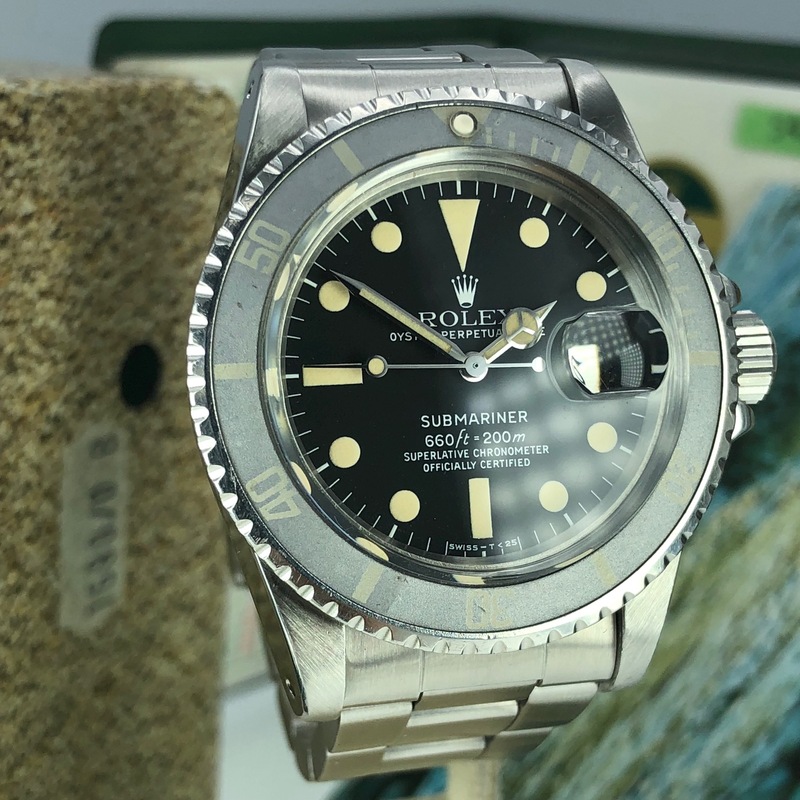 this model came after the Red 1680. 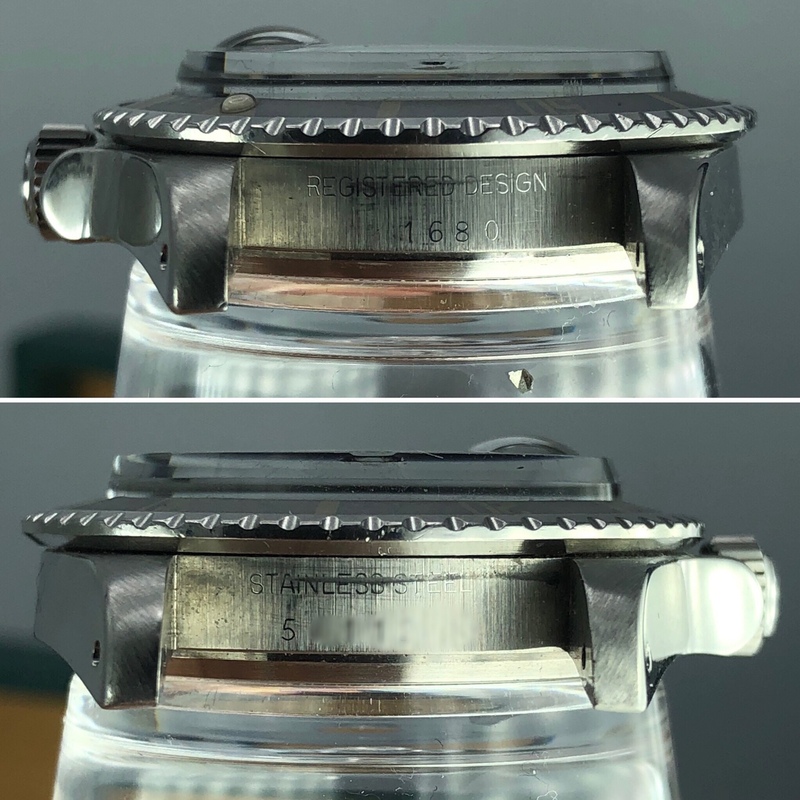 Case and Bracelet: Mint condition case, original 9315o bracelet 580 correct end links, has code ST6, original super faded insert & bezel. 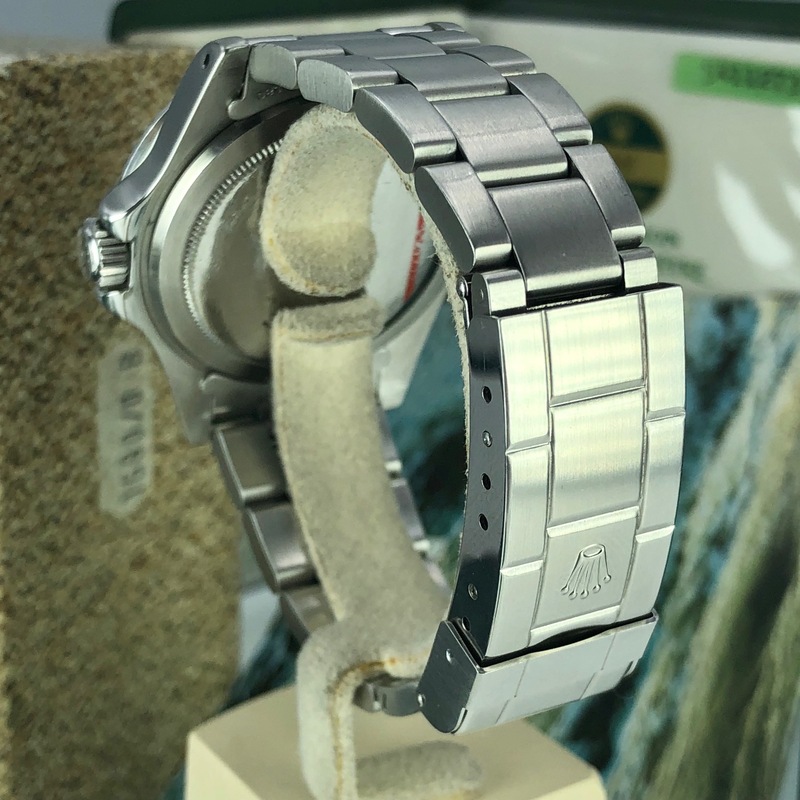 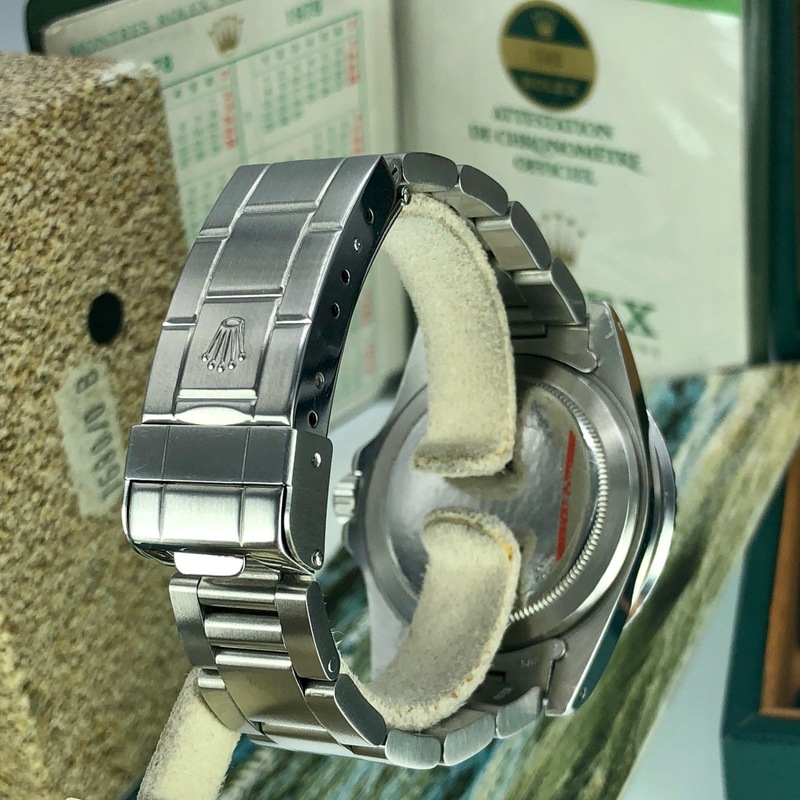 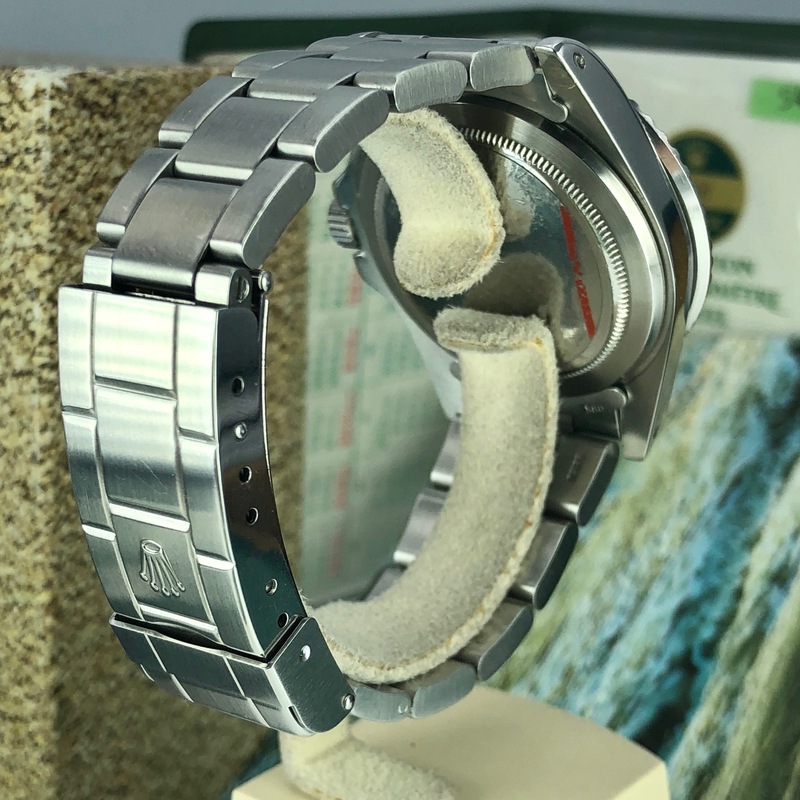 Movement: Original 1570 Movement keep good time and recently serviced by Rolex and still under rolex warranty (April 2018). 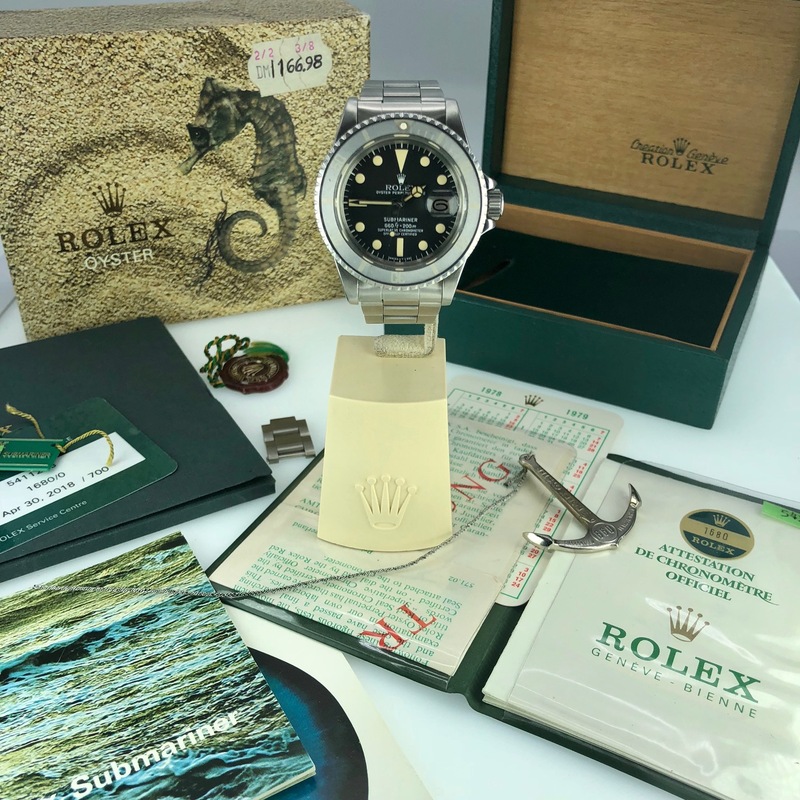 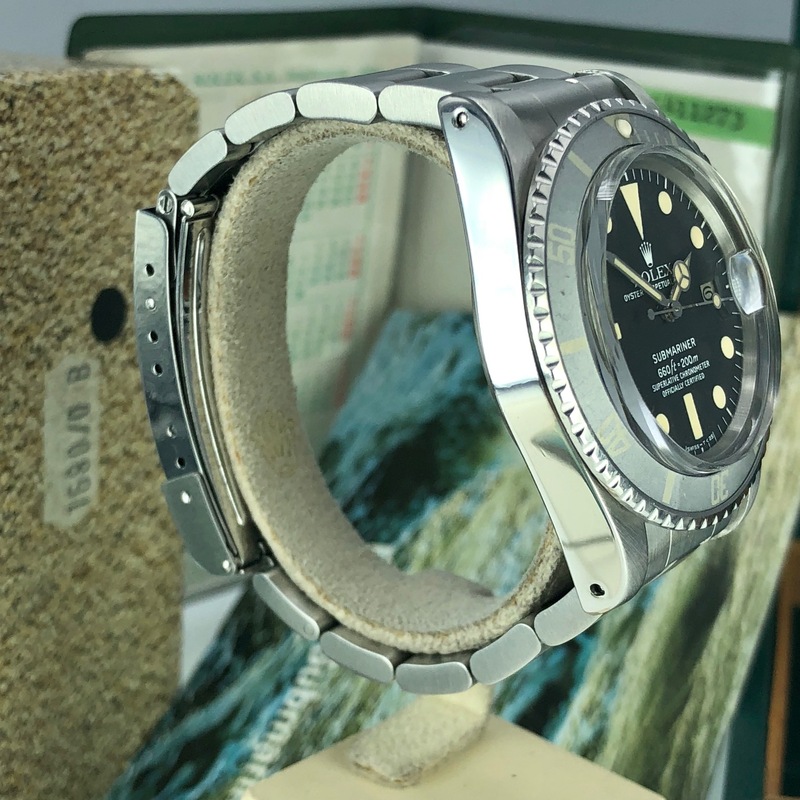 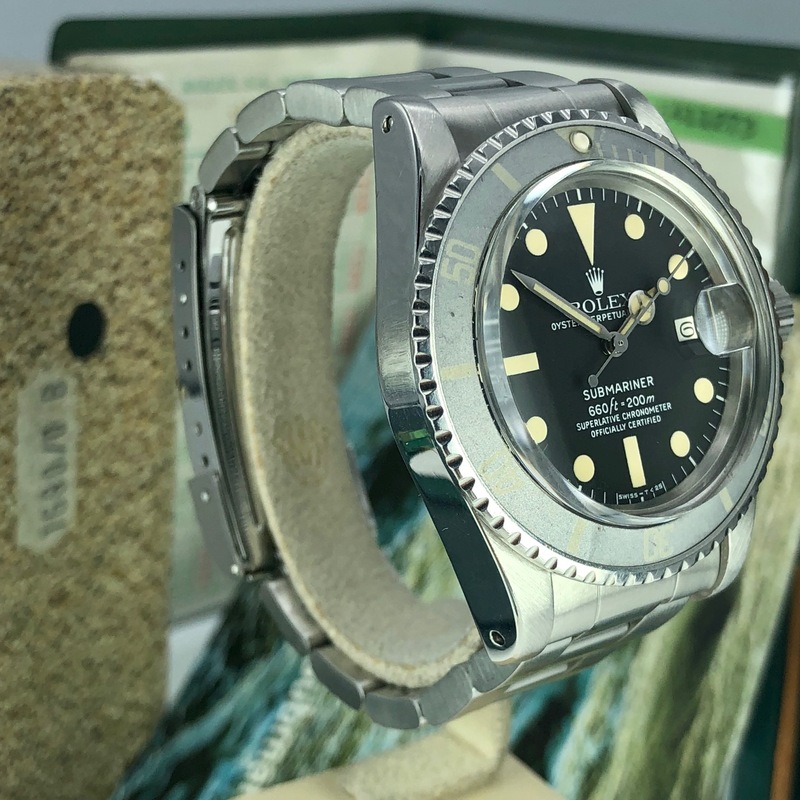 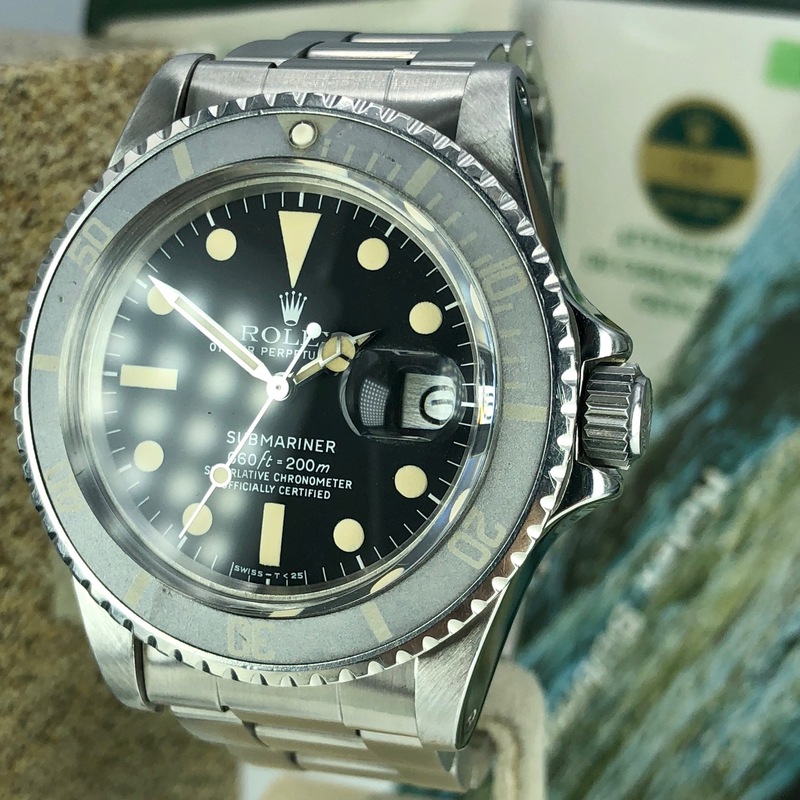 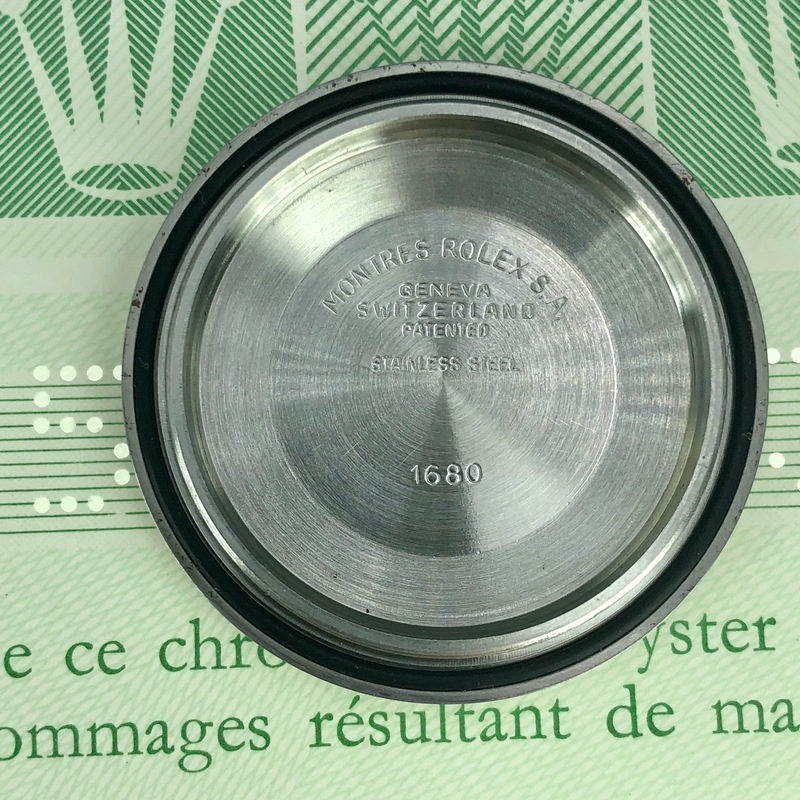 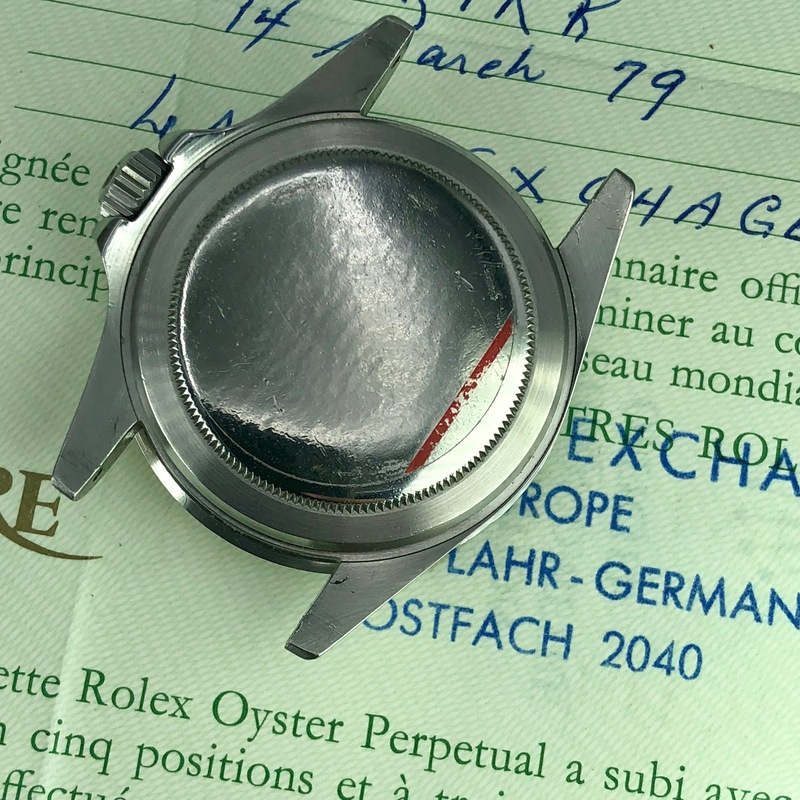 Accessories: Outer and inner boxes has 1680 sticker on it, Submariner booklet, your rolex oyster booklet, green hang tag with serial number, red hang tag, Submariner anchor, Rolex service card, Rolex service booklet and the original rolex certificate dated 1979. perfect example for the real collector.